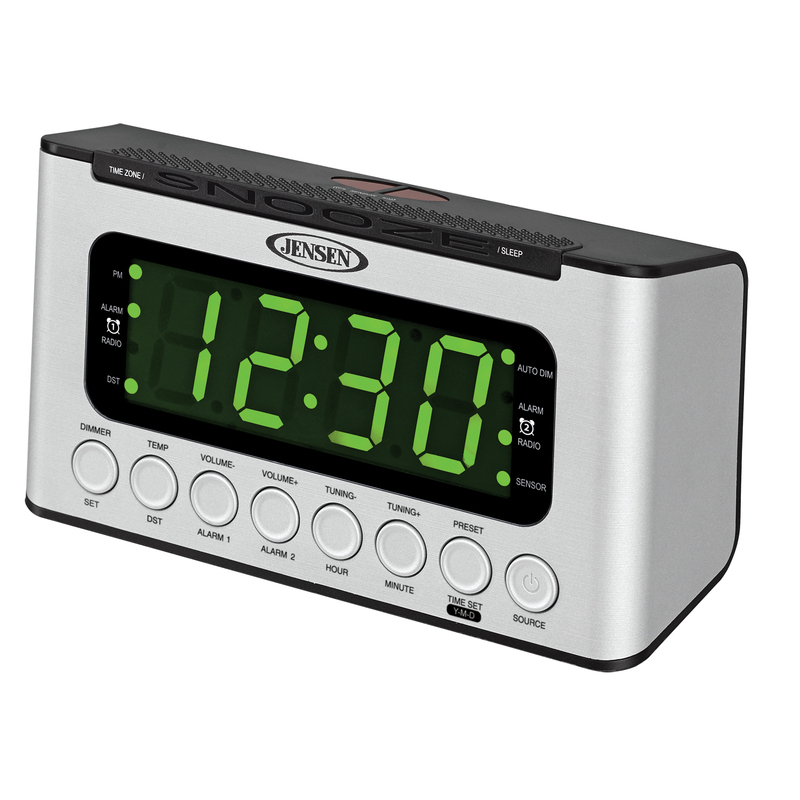 The JENSEN® JCR-231 Digital AM/FM Dual Alarm Clock Radio has a modern, sleek design with an easy-to-read 1.2” green LED display. This model has a lot of unique features that set it apart from other clock radios. 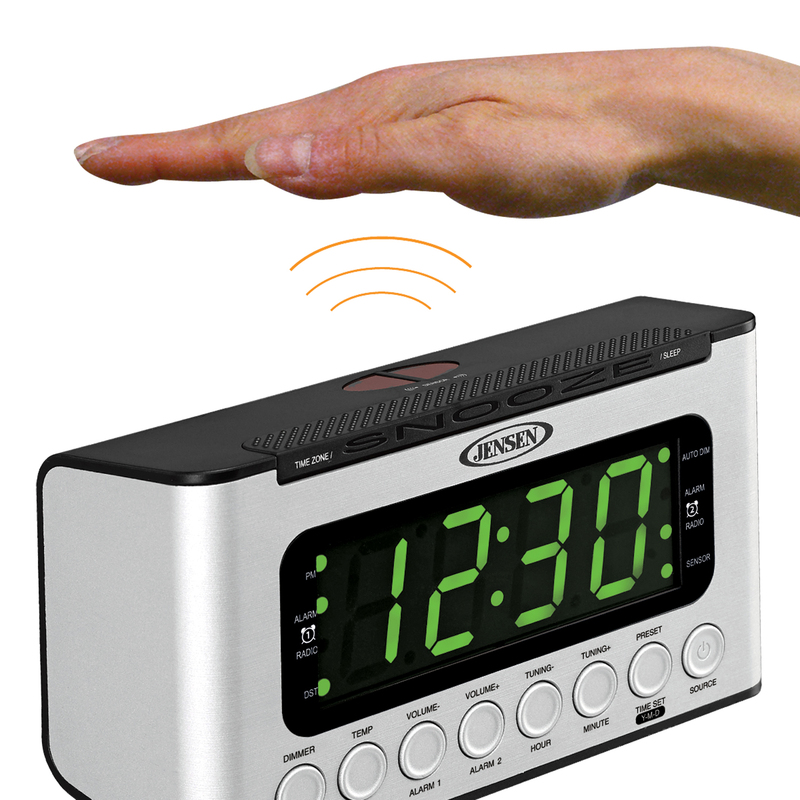 Enjoy the convenience of the unique wave sensor that shows the time, indoor temperature, dual alarm times, and even activates the snooze function with a simple wave of your hand. This device also features a high-low dimmer control for day or night adjustments. You can find your favorite radio stations with PLL Tuning and program them with 20 FM + 20 AM presets. Beyond radio, you can connect your iPod®, MP3, or other digital media players into the auxiliary input jack. Different time zones and a calendar are a few additional features of this advanced clock radio. When the JCR-231 is put in power saver mode, the device automatically turns off the display after 15 seconds to conserve energy. 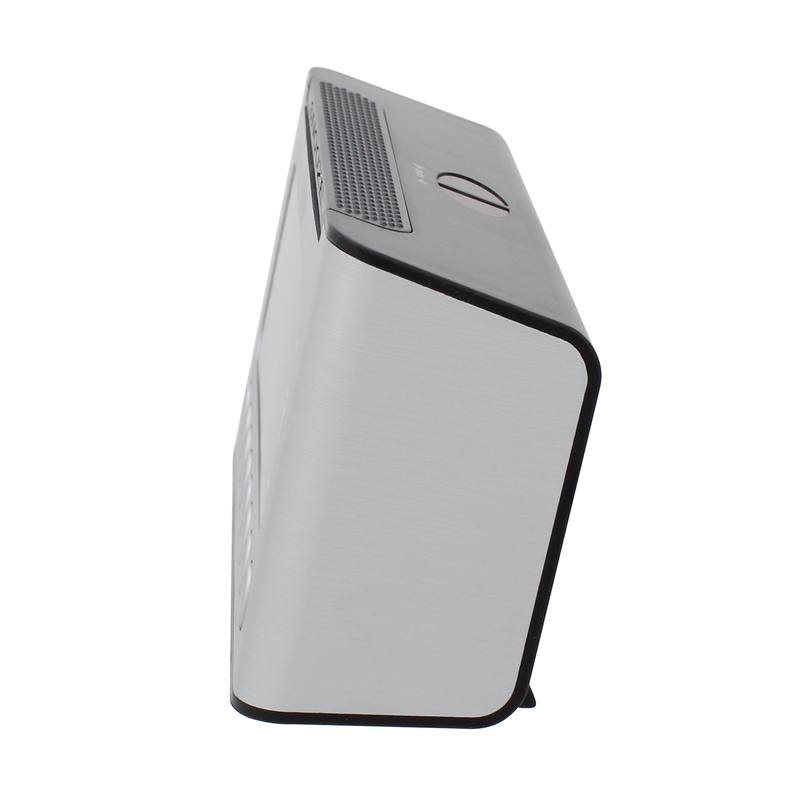 The unit operates on 120V AC power, and includes a battery back-up feature for saving the clock settings if the power goes out (battery not included).